It's that time of the month again - no, not that one - the time when Femme Fatale launch a new collection presale! Hooray! 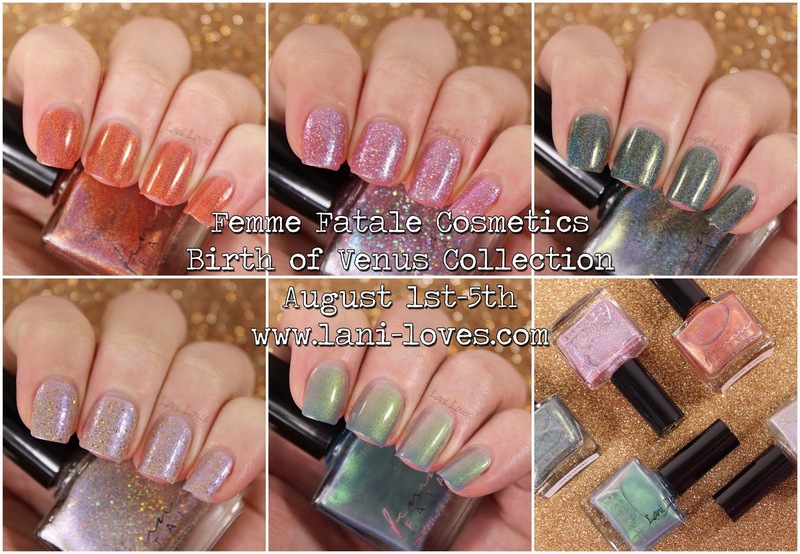 On August 1st, Femme Fatale are introducing Birth of Venus, a collection inspired by Botticelli's iconic painting of the same name. Swatch notes: I do not use base coat for my swatches and top coat is only used where noted. Everything was photographed using a three point lighting set up under daylight bulbs, except for the additional holo swatches done in sunlight. 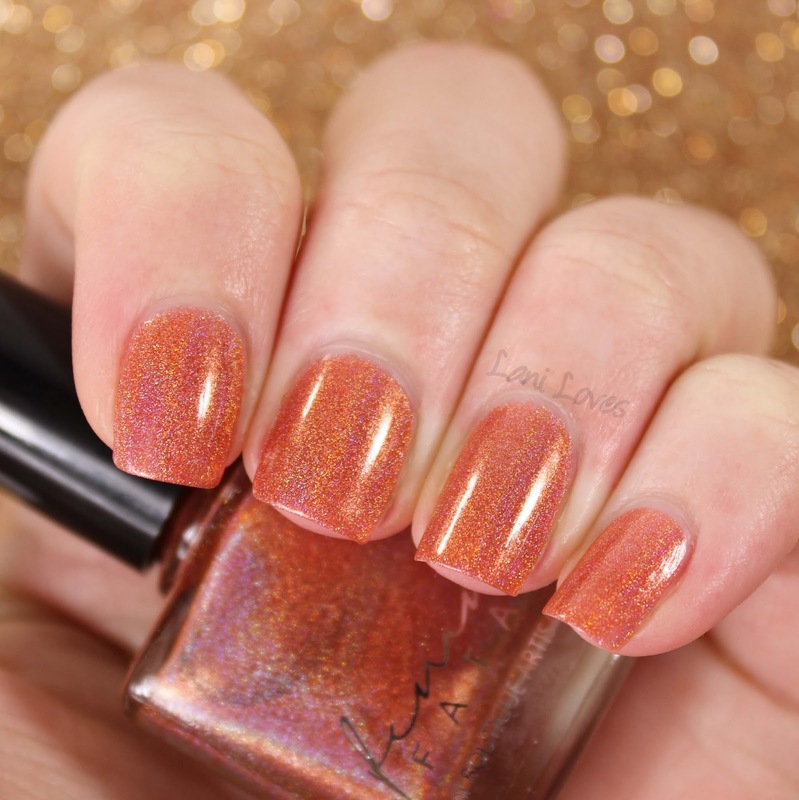 Arrival of Venus ($12AUD/$11USD) is a rich burnt orange with a linear holo effect. 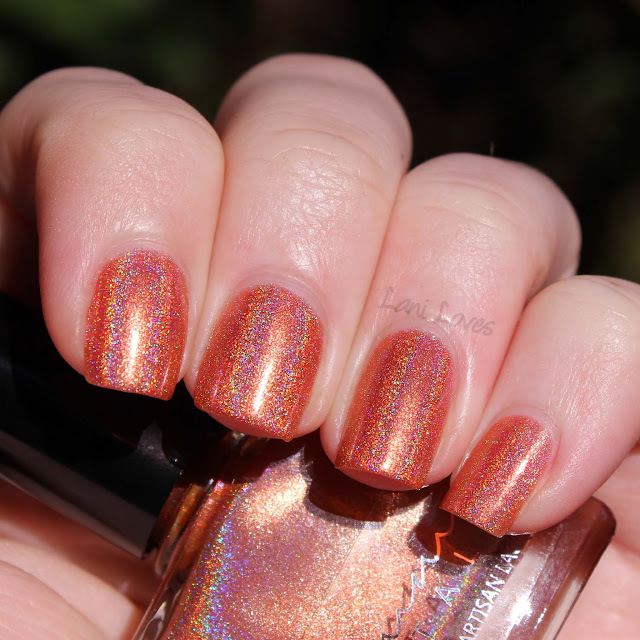 I'm so excited to see some new holos from Femme Fatale, it feels like it's been such a long time. I don't actually think I've ever had an orange holo before either, so this is quite a treat. 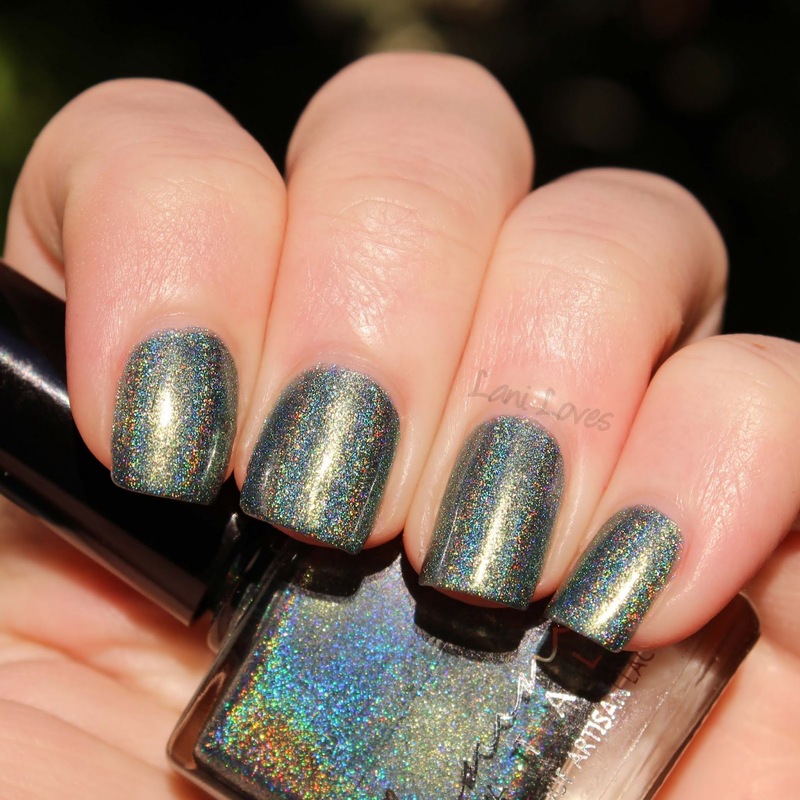 Arrival of Venus covered beautifully in three coats and the holo effect is nice and strong. Swept Across the Sea ($11AUD/$10.50USD) is the thermal in this collection, a unique beauty which shifts from tan when warm to teal when cold, all the while overlaid with a green shimmery glow. You'll have to forgive me, my hands are naturally cold and our weather in New Zealand is even colder right now, so the thermal change isn't as clear as it could be, but I've done my best under the circumstances. Swept Across the Sea is opaque in three coats and dries to a satin finish (I've added top coat) and applies pretty smoothly. I did have a few lumps/spots that looked like unmixed pigment, but they seemed to disappear or even out by the time I was top coating, I'm not sure what that was about! 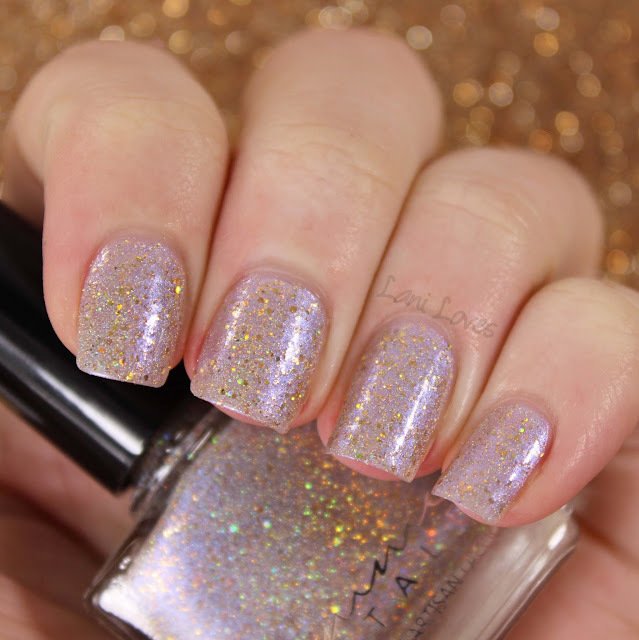 Heavenly Raiment ($9AUD/$9USD) is a sheer rose pink with heavy blue shimmer and lots of silver holo glitter. It was mostly opaque in three coats - opaque enough for me to be happy with it - and dried with a small amount of texture, so I added top coat to smooth it out. I was initially reminded of Spangled Starlight from the Midsummer Night's Dream collection, but Heavenly Raiment is much pinker and has a jelly base. 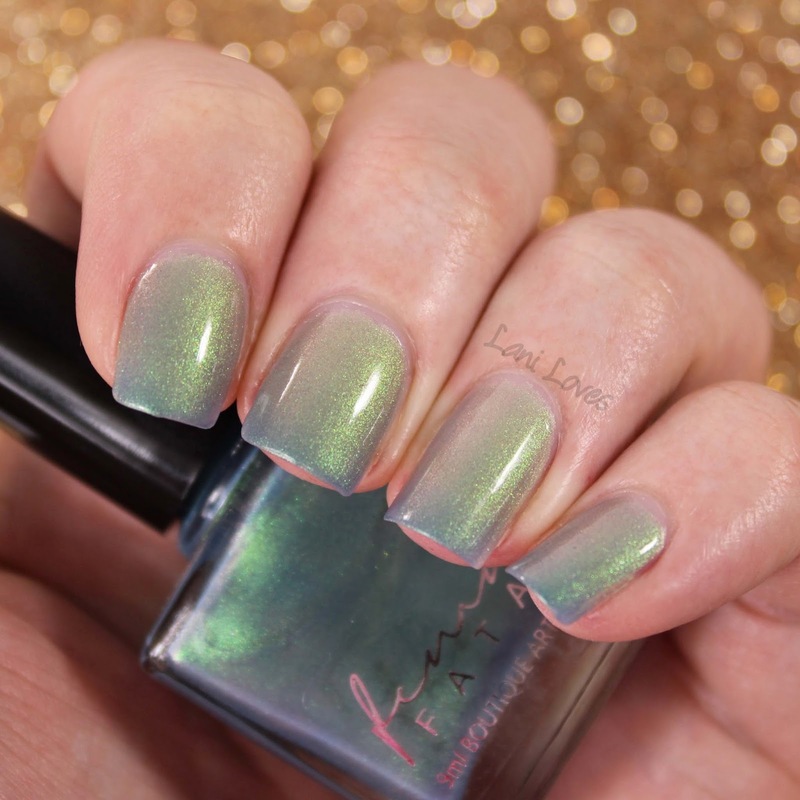 Isle of Cythera ($12AUD/$11USD) is a forest green holo with a smattering of chartreuse shimmer. The shimmer gives it a slightly foiled look in certain lights, it's a very nice addition that keeps Isle of Cythera interesting in lower light when the holo isn't so dominant. Application was a breeze in three smooth coats. Breath of Zephyros ($11AUD/$10.50USD) is my surprise favourite of the collection! It's described as a 'blue-toned grey linear holo with golden glitters' but seems to look almost lilac on me. The contrast between the cool and warm tones in the same polish is really cool and works surprisingly well. Breath of Zephyros does dry with some texture and needs top coat to smooth it out for best effect. I'm really digging this collection! Breath of Zephyros is the stand out for me, but I love all of the ones I have and hope to pick up Horae Awaits and Upon Seafoam during the presale. Which ones do you have your eye on?